Not everyone speaks only one language. Maybe you learned Spanish in school, or your parents are from Germany. Whatever the reason, it’s really annoying when you’re trying to send a text in a language other than English and autocorrect keeps trying to change “boire” to “Boise”. Nobody goes to a bar and orders a small American city. 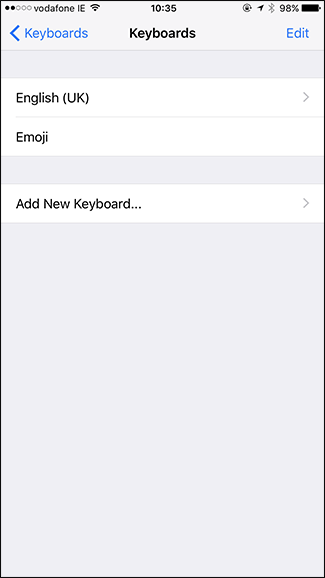 Thankfully, on iOS it’s relatively simple. 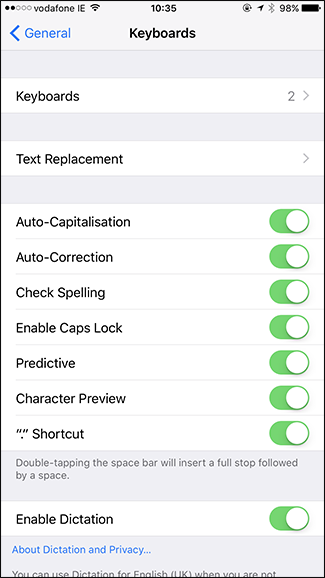 All you have to do is add the keyboard of the language you want and autocorrect will work regardless of which keyboard you actually use. Let’s start by adding another language keyboard. Go to Settings > General > Keyboard > Keyboards. 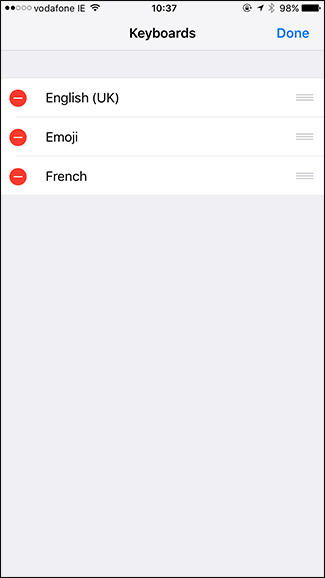 I’ve already got the English (UK) and Emoji keyboards set up. 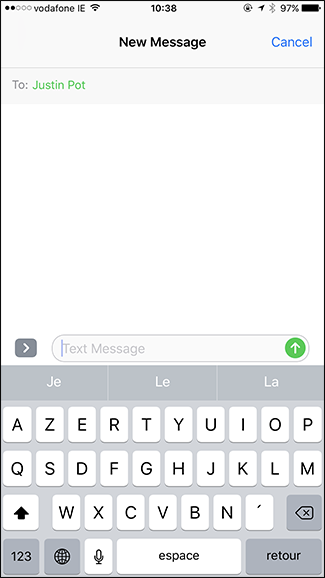 Tap Add New Keyboard and select the keyboard you want to add. 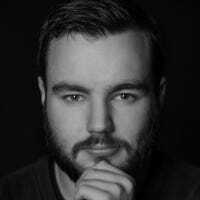 I’ve gone with French. That’s it set up. If you want to remove or change the order of the keyboards, you do it from this screen. 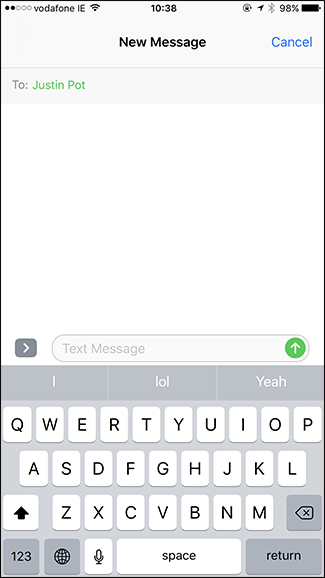 Just tap Edit and then either the Red Icon to delete a keyboard or drag the handles to change which keyboard appears first by default. 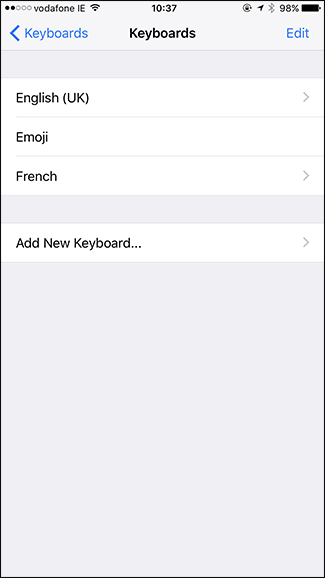 Now I’ve got both an English and French keyboard. Look at where Q and the A are in the screenshots below to spot the difference. To switch between them, you tap the little world icon in the bottom left. 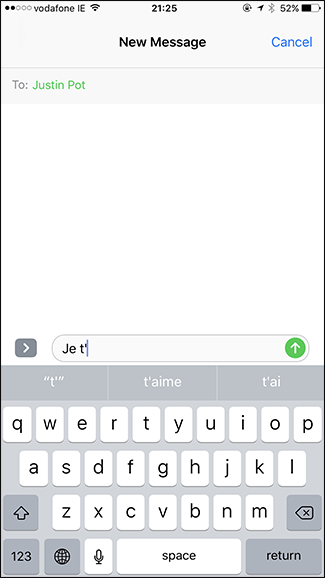 Even with the English keyboard selected, if I start typing in French, autocorrect won’t start suggesting random English words. It’s pretty handy. Unfortunately, this trick only works for languages that use the same alphabet. 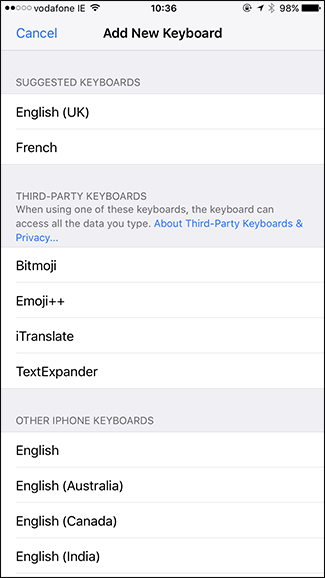 You won’t be able to type Thai from the English keyboard.